We (Troy Pettyjohn and Matt Shoup) founded Northern Colorado Jiu Jitsu in October of 2018. We exist to "Improve and protect the lives of others in our community". We do this through teaching the art of Brazilian jiu jitsu (BJJ) and judo. Not only will students learn how to physically protect themselves through BJJ and judo, but will also improve all aspects of their lives through our "Leadership Jiu Jitsu Program"
Northern Colorado Jiu Jitsu is the premier destination for anyone interested in learning the art of BJJ and/or judo. Our students range from professionals, to college students, to law enforcement, to men, women, children, and families; but on the mat everyone quickly becomes part of the same family. Although all of our students come to our academy for different reasons, they all share the common goal of defending and protecting themselves and others, while improving all aspects of their life. 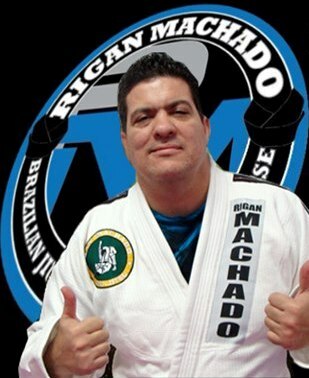 Team Rigan Machado offers exemplary training for self-defense. We also offer specific classes geared towards women, children, and law enforcement. All classes are taught by certified Machado instructors with extensive knowledge of the art. All instructors are background checked, as well have been trained and certified in Northern Colorado Jiu Jitsu's "Leadership Jiu Jitsu Program." Students receive quality instruction in Rigan Machado jiu jitsu, and belt testing according to the rigorous standards of Master Rigan Machado. Jujutsu originated in Japan and was used for centuries in self defense. The Japanese eventually decided to share their art with the rest of the world. In the early 1900’s, Japanese jujutsu was introduced to Brazil. The Brazilians modified the art as well as changed the spelling this creating Brazilian jiu jitsu, commonly known as BJJ. BJJ teaches a person how to defend themselves by applying a combination of throws, takedowns, joint locks and chokes. What makes Brazilian jiu jitsu so unique and effective is it teaches these concepts while stressing the importance of leverage, timing and technique. Because of this, when applied correctly, it allows a smaller, slower, and weaker opponent the opportunity to defend themselves against a bigger, faster, and stronger opponent. Jiu jitsu levels the playing field when it comes to self defense! Our student base ranges from children (age 5 and up), to men and women, law enforcement and first responders, to people of all ages, health and fitness levels, who all have one common goal in mind: To be able to protect themselves and their loved ones. As an added bonus, many of our students find that while practicing jiu jitsu they also notice increased self-confidence, health, weight loss, and an overall better lifestyle. Judo (Kodokan Judo) was started by Kano Jigoro Shihan in 1882. It was derived from jujutsu, a Japanese traditional martial art that uses techniques such as throwing, holding, choking, hitting and kicking to subdue the opponent. Kano Shihan eventually decided that jujutsu was a fighting method while judo aimed at character building. Judo includes a code of sportsmanship, a sense of mutual respect, and a system of ethical and moral development. It enables its practitioners to gain self-respect, self-confidence, and self-expression, as well as learning to use natural laws like gravity, friction, momentum, weight transmission, and unity of forces leading to maximum efficiency with minimum effort. Every student and instructor that calls Northern Colorado Jiu Jitsu their home has their own unique story about how BJJ has impacted and changed their lives, as well as the lives of others around them. We are currently capturing these stories on video and will soon upload to our YouTube channel. In the meantime click here to read about one of our students and how jiu jitsu literally saved his life. Click Here to view our YouTube channel.